The end of the year can be a busy time for most business owners, so we’ve created a list to help you make sure your business is ready for the New Year! Have officers and directors been properly authorized? Have significant business activities been memorialized in minutes? Have key employees signed them? Are signed copies on file? Should your business elect to be an “S” Corporation for tax purposes? Should you change your basis of accounting? 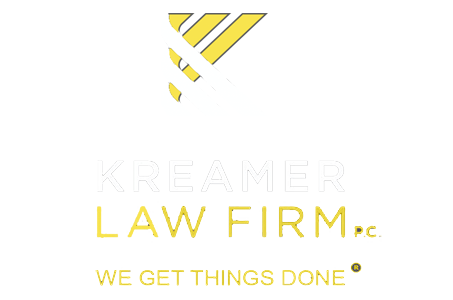 Contact the Kreamer Law Firm, P.C. at 515-727-0900 or info@kreamerlaw.com for assistance with establishing internal policies and/or procedures, contracts, and other business documents. Grants the right to distribute goods or provide services under a marketing plan prescribed or suggested in substantial part by the franchisor. Requires payment of a franchise fee to a franchisor or its Affiliate. Allows the franchise business to be substantially associated with a trademark, service mark, trade name, logotype, advertisement, or other commercial symbol of or designating the franchisor or its affiliate. In the beginning everything is rosy and the business will be successful and the co-ownership will last forever. More of your waking hours are spent in the business than anywhere else. The ownership interest is property of the owner- one owner cannot simply take from another. Can be used to eliminate deadlock: one simply buys out the other. Objectively “reasonable” since they are established by agreement-YOU NEVER KNOW IF YOU WILL BE A BUYER OR A SELLER so you better do the right thing. YOU ACTUALLY HAVE TO DO IT!! 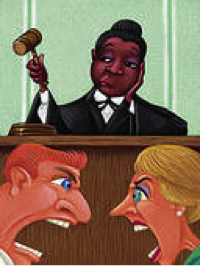 Recommended Formula for provisions on buyouts not caused by death, disability or termination of employment- Russian Roulette (one offers a price for the shares of the other and the offeree can buy the offeror’s shares at that price). Iowa Code 489.701(1). NOTE: this section also sates additional grounds for judicial intervention. Last night, Tom Kutz and I explained how to avoid problems in buying and selling your business on Insight on Business-The News Hour. Click the link below to listen to our interview. What Do Your Internal Corporate Documents Really Mean? 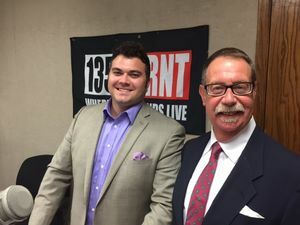 Tom Kutz and I were back on Insight on Business – The News Hour with Michael Libbie again to answer the important business questions that everyone should know. Between bylaws and minutes, do you know what your internal corporate documents really mean for you and your business? Click the link to listen to the podcast! Do you know the difference between a Living Will and a Power of Attorney for Health Care? The difference is extremely important to know when it comes to your estate plan and making sure you’re putting power in the right hands. In a Power of Attorney for health care, YOU APPOINT someone you know to make health care decisions for you. In a Living Will the decision maker is your attending physician (who you may or may not know). A Power of Attorney for Health Care authorizes the holder to make decisions regarding your medical care, treatment, service, or procedure to maintain, diagnose, or treat an individual’s physical or mental condition; including the use or withdrawal of life sustaining procedures. A Living Will authorizes an attending physician to withhold life sustaining procedures if you have an incurable or irreversible condition that will result either in death within a relatively short period of time or a state of permanent unconsciousness from which, to a reasonable degree of medical certainty(as confirmed by another attending physician), there can be no recovery. The authority of the appointee of a Power of Attorney for Health Care is much more broad than a living will, but includes the same authority as that granted to the attending physician in a living will. The overlap of authority between the two holders could create a conflict between the person you appoint and your attending physician. By having only one document you have only one decision maker. The best person to make these decisions is someone you appoint (and therefore trust) to make these decisions, since you may not even know who is your attending physician at the time a decision is necessary. Although they make these decisions all the time, we feel that this places an undue burden on the attending physician, who is tasked with providing you the best health care possible in EVERY situation. Contact the Kreamer Law Firm, P.C. at 515-727-0900 or sikjdcpa@kreamerlaw.com if we can be of assistance in your estate planning. Yes, Lawyers CAN Have Fun, Too! Last night, Kreamer Law Firm, P.C. sponsored the beer serving tent for the Historic Valley Junctions event/concert, Music in the Junction. And let me tell you, it was a great night! The weather was perfect, the music was great, and Tom Kutz and I had a blast handing out koozies and beers while showing the attendees that lawyers can have fun, too. At the I-NEDA annual conference Sam Kreamer discussed some of the dangers that occur when blanket liens are involved in transactions. This issue is by no means an easy topic, and that’s why we’re here to help. Click the link to download the PowerPoint used that shows examples of the step by step procedures for these transactions. If you have any questions, feel free to contact us at 515-727-0900. One of our favorite events of the year is coming up. 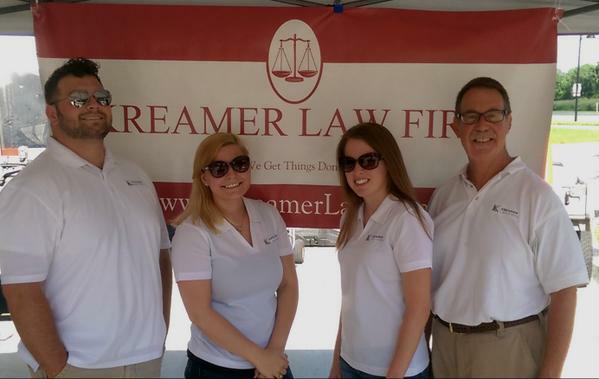 On July 23rd, Kreamer Law Firm will be sponsoring the beer tent at the Historic Valley Junction’s event, Music in Junction. From 5:30-8:30pm stop by, say hi, and grab a cold beer to enjoy!